The Naval Helicopter Association Historical Society (NHAHS) would like to acknowledge and thank Gordon & Irene Kellogg for their very kind financial donation to NHAHS in the name of their friend, the late Captain James F. Mozley, USN (Ret.) received October 25, 2018. CAPT James Frederick “Fred” Mozley, USN (Ret.) 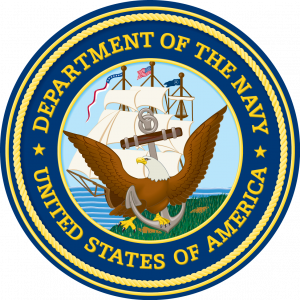 1931 – 2017, former Commanding officer of HC-2 and Naval Helicopter Designator Number 3401, March 27, 1957 in Navy HTG-1 Squadron. Captain James Frederick Mozley, US Navy pilot, answered the call at 6:55 a.m. on Thursday, April 20, 2017 and flew to his highest altitude ever as he entered the Kingdom of Heaven at the age of 86. “Fred” was born January 27, 1931 in Carpentersville, IL, the son of Oliver Norman and Loa Cynthia (Stokes) Mozley. He married Patricia “Pat” Ann Swatts on September 12, 1954 in Lafayette, IN; she preceded him in death in 2011. He was also preceded in death by his parents and sister, Mary Avalene Lewis, Great Bend, Kansas. He is survived by his son, Steve (Lorraine) Mozley of Springfield; daughter, Suzanne (Ross) Warfel of La Mesa, CA; two grandchildren, Grant (Rachel) VanMeter of Victoria, TX and Morgan (Nathan) Fretz of Springfield, IL; five great-grandchildren, McKenna, Caleb and Loey Fretz, and Lydia and Ellie VanMeter; brother, Charles “Frank” (deceased wife, Barbara) Mozley of Leawood, KS; sisters-in-law, Betty (deceased husband, Robert) Mennen of Lafayette, IN and Lin (Terry) Thomas of Summerville, SC; and many nieces and nephews. He was humble and only spoke of his 30 plus year Navy career and 5,000 military flight hours when encouraged by his family. While serving on the USS Intrepid, two AD aircrafts had a mid-air collision with both pilots ejecting. Fred was thankful he was able to make a successful helicopter water rescue of one of the pilots. He tried to rescue the other pilot too, but the pilot was killed when the planes collided. Other US Navy service highlights included: Patrol Squadron VP-18 flying P2V-5’s and P2V-7’s on anti-submarine reconnaissance; aviator aboard the USS Monterey, USS Point Arrow; USS Lindenwald; flight instructor in HTL, HO4 and HUP aircrafts; first aircraft handling and flight deck officer on the USS Okinawa (LPH-3), in addition to being a “plank owner” recognized for making the first helicopter landing aboard the USS Okinawa; while aboard the USS Okinawa provided support for the Cuban crisis blockade; served on Commander Naval Air Atlantic staff; Commanding Officer Helicopter Combat Support Squadron 2 (HC-2), the largest operational squadron in the Navy at the time, Lakehurst, New Jersey, which rescued many downed pilots, helped civilian personnel and provided other support. Fred was especially proud of the HC-2 personnel and thankful he was instrumental in recognizing pilots returning from Vietnam with Silver and Bronze Stars, Distinguished Flying Cross and other much deserved medals. Fred said the HC-2 Helicopter Combat Support Squadron had its share of true American warriors and heroes. Fred served as the United States representative to the staff of the Commander in Chief of the Italian Navy in Rome, Italy. His North Atlantic Treaty Organization (NATO) title was Commander Central Mediterranean (COMMEDCENT). When he returned to the US, he served as the Executive Officer, Naval Air Station, Jacksonville, Florida. Highlights of his education, training and expertise included: US Navy Aviator, US Navy Captain, Advanced Survival Training, Armed Forces Staff College, Defense Language Institute West Coast, Italian, Patrol Plane Commander, Flight instructor and Purdue University, West Lafayette, IN. Fred attributed the success of his military career to his wife “Pat” of 58 years and his children, who he described as the best shipmates a sailor could ever have. He is dearly missed and remembered for his love of Pat and family; love for and service to our United States; friendly outgoing personality; sense of humor; and love of animals and the outdoors. He was a bold leader; courageous and fearless, truly an American hero. Cremation will be accorded by Lincoln Land Cremation Society prior to ceremonies. The family will be hosting a Celebration of Life and Funeral Ceremony with full military honors in June at Barrancas National Cemetery, Pensacola, Florida.